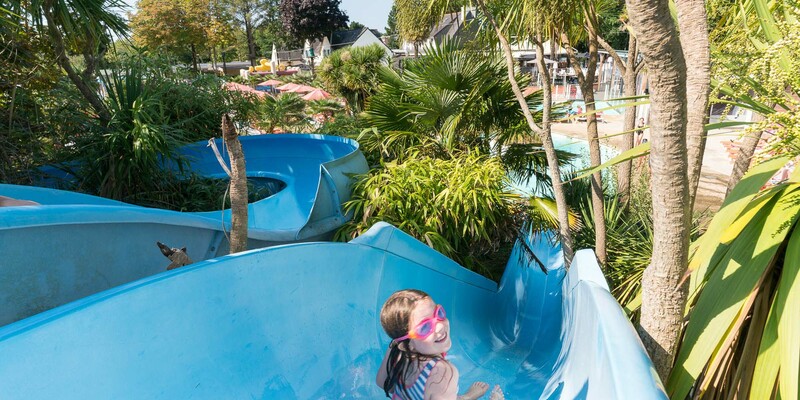 The water park at Le Port de Plaisance campsite is open throughout the season, from the resort’s opening to its closing! 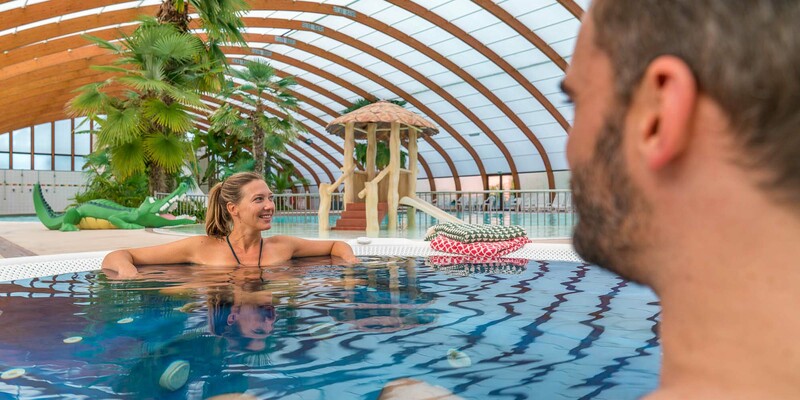 A true tropical paradise in South Finistère, our resort’s swimming area is made up of an indoor part, the Aquadôme XL, with an area of 1,000 m², houses one of the largest indoor swimming pools in Brittany, and an outdoor part, composed of several pools and water games (heated from mid-May). 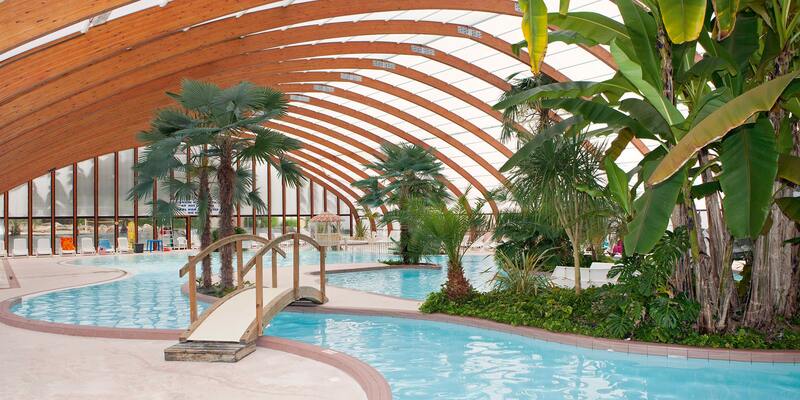 The indoor swimming pool is heated all season long and the outdoor swimming pool is heated from mid-May onwards. 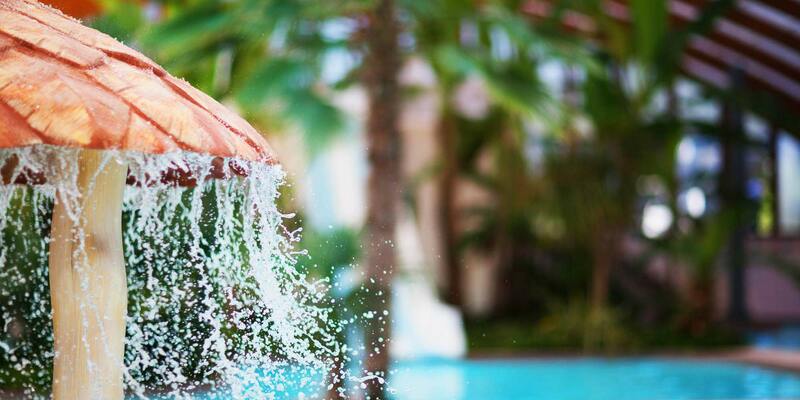 Adults and children can enjoy our water park’s numerous amenities: paradise lagoon, slides, jacuzzi, paddling pool, swimming pools, etc. 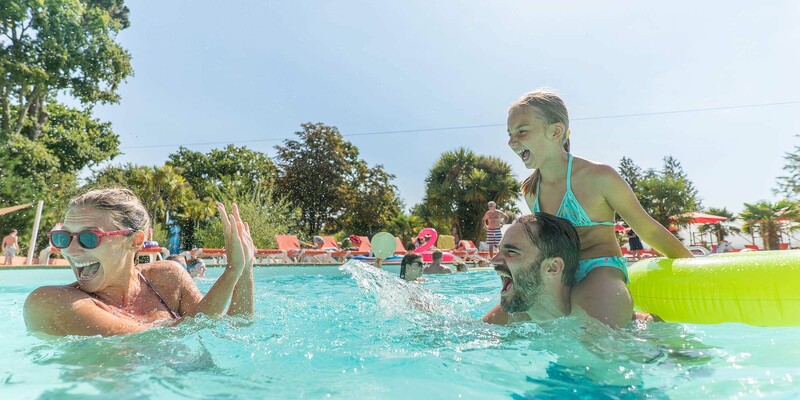 The open-air water park is ideal for enjoying the pleasures of the water when the campsite is bathed in sunshine! 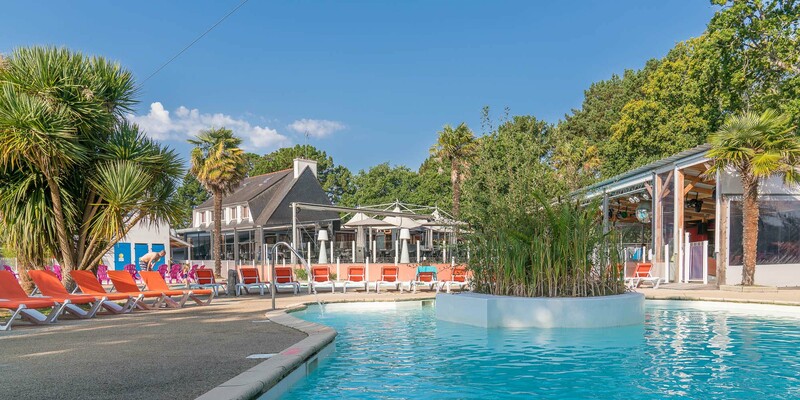 This outdoor area is composed of three pools heated from mid-May. 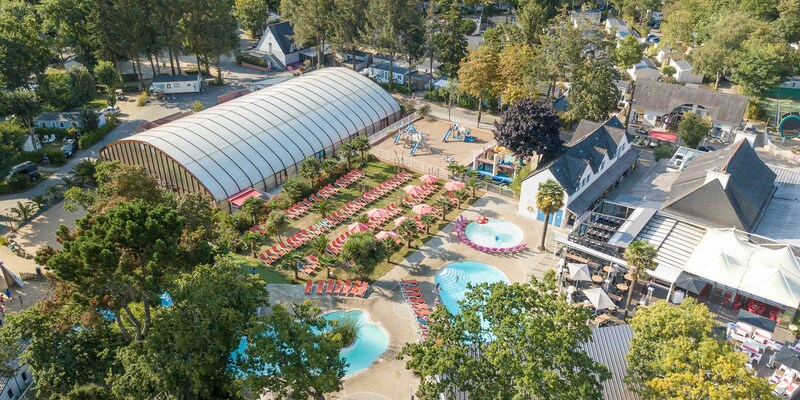 One is a 230 m² swimming pool, reserved for swimming, then there is a receiving pool for the two outdoor water slides, and the third is a children's paddling pool. There are large artificial beaches surrounding this area. 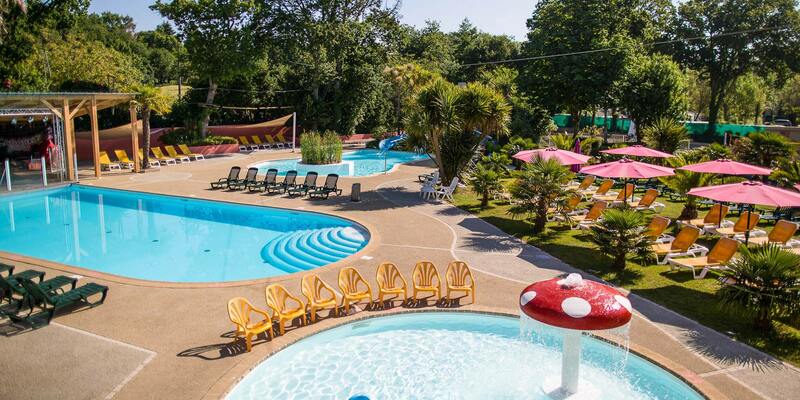 Come to sunbath in the shelter of luxuriant vegetation in South Finistère! 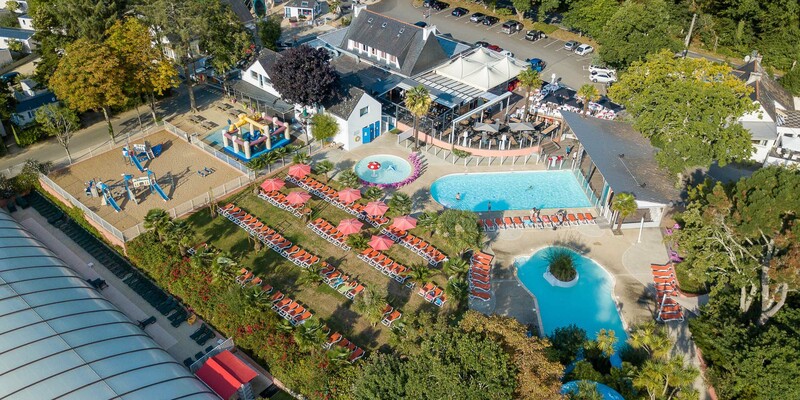 •	You must wear a campsite bracelet to access the water park. 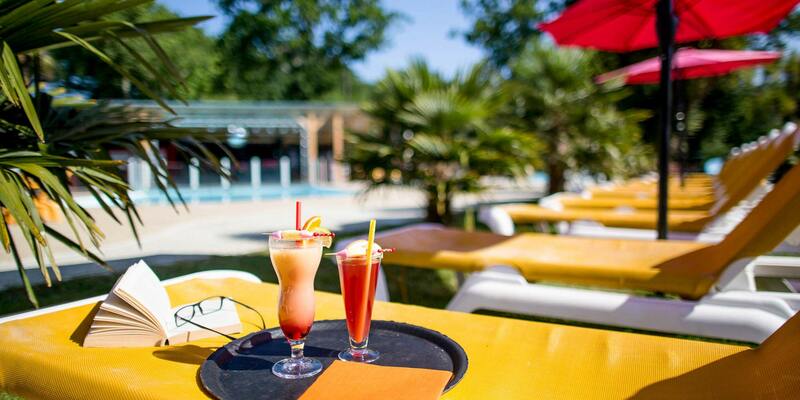 •	Free access from 10am to 7pm in April, May, June and September, and from 10am to 8pm in July and August. 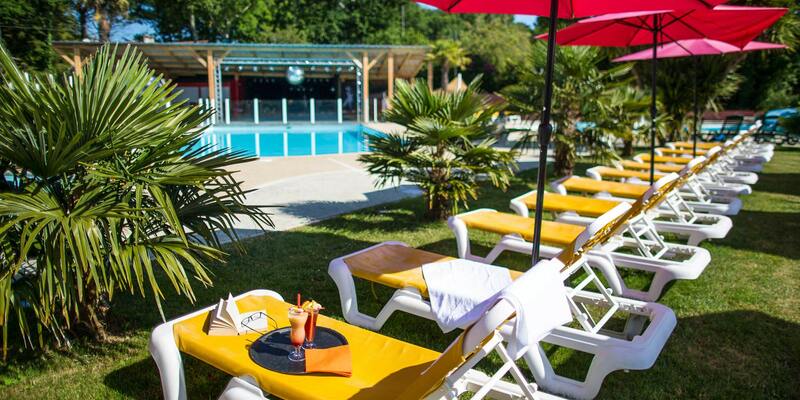 At the Aquadôme XL, Le Port de Plaisance has a big surprise in store for you! 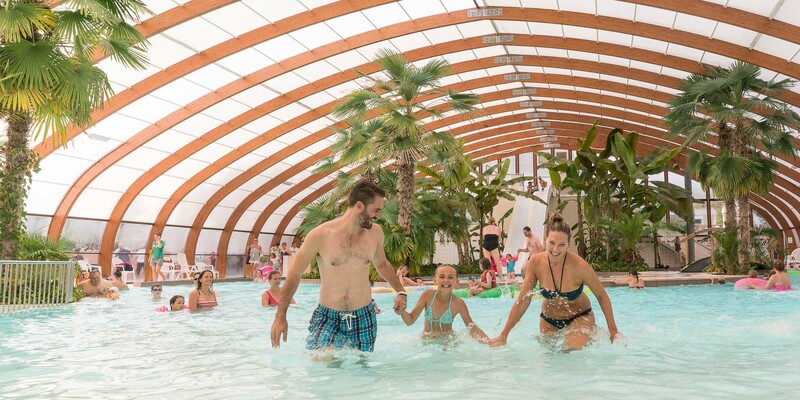 Open regardless of the weather conditions, Aquadôme XL is a 1,000 m² indoor area with a fully heated 450 m² lagoon pool for swimming and playing with family or friends, a pool with games for the youngest children, a flume slide with two runs and artificial beaches equipped with deckchairs for relaxing. 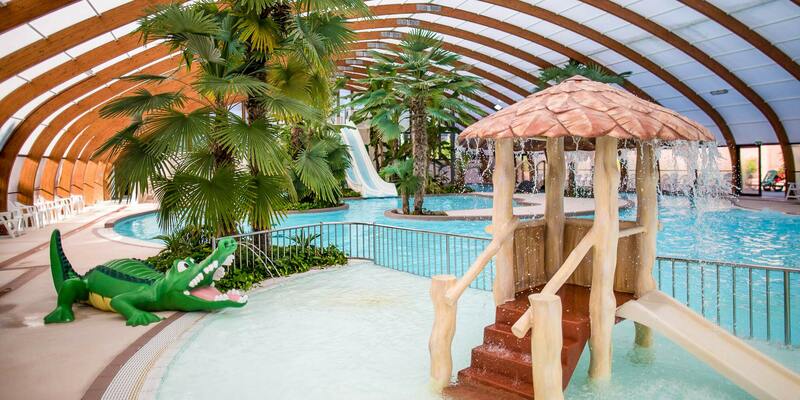 There is also some exceptional vegetation including tropical palm trees inside the Aquadôme XL. 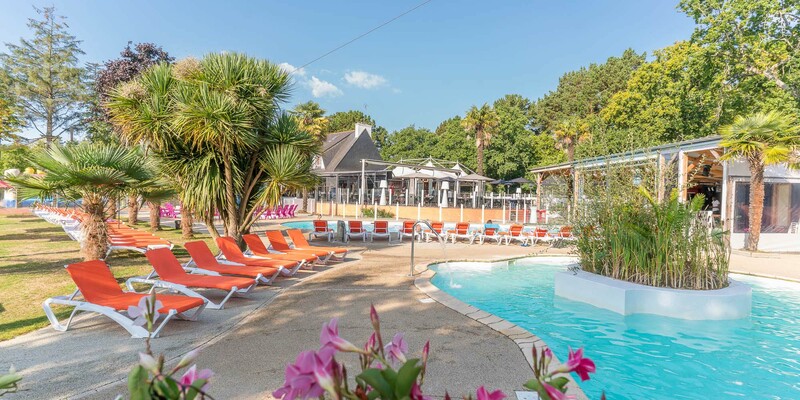 A place for water games and relaxation in any season and all with peace of mind, at Le Port de Plaisance campsite!